When my sister recently traveled to Tucson, Arizona for business I begged her to bring me back some prickly pear goodies. Prickly pears, or cactus pears, are vibrant pink fruits that grow on cacti. Prickly pear products are commonly sold in Arizona, where prickly pears thrive. 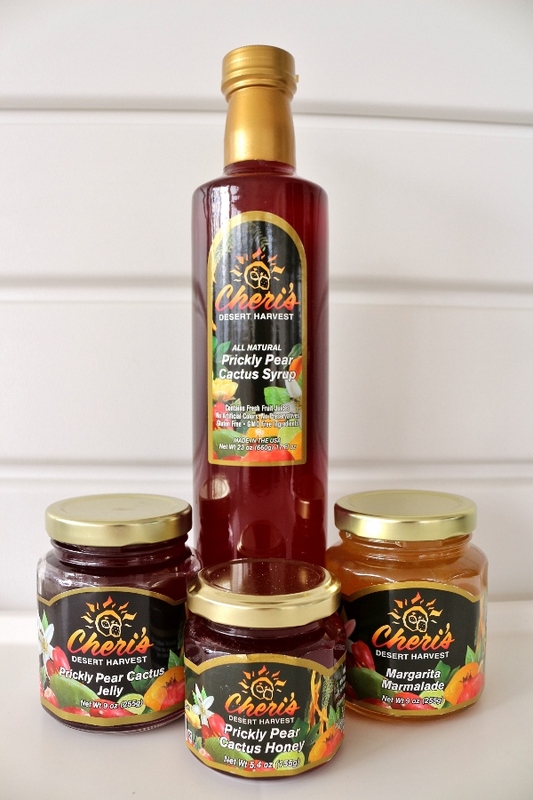 Although I have occasionally seen fresh prickly pears sold at my local Whole Foods, products made from the fruits, such as syrups and honeys, are not as readily available in many other states, although they can be ordered online. In addition to a large bottle of prickly pear syrup (perfect for prickly pear margaritas and topping pancakes), I also requested a few jars of prickly pear honey, prickly pear jelly, and margarita marmalade, made with lemons, limes, tequila, and triple sec. Prickly pears are actually extremely beneficial to one's health! Studies have found them to aid in the management and treatment of type 2 diabetes, have anti-inflammatory and antiviral properties, among other incredible qualities. They are also high in dietary fiber, vitamin C, and antioxidants. 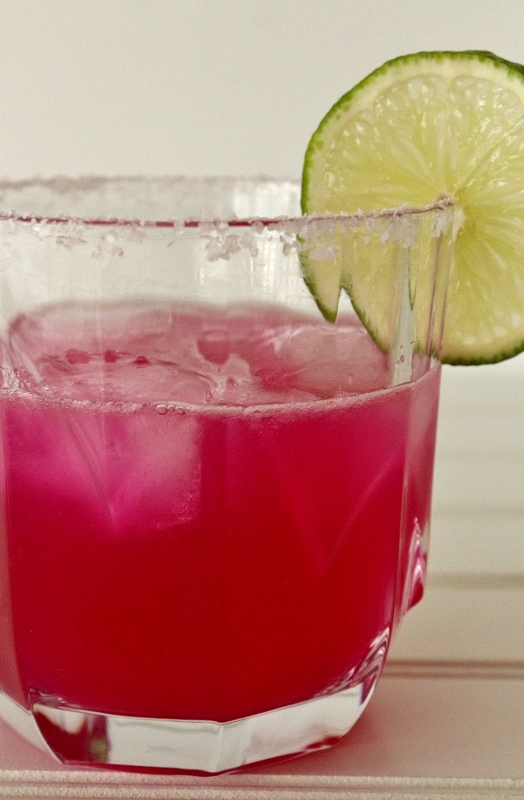 So really, these prickly pear margaritas are good for you. Totally healthy. 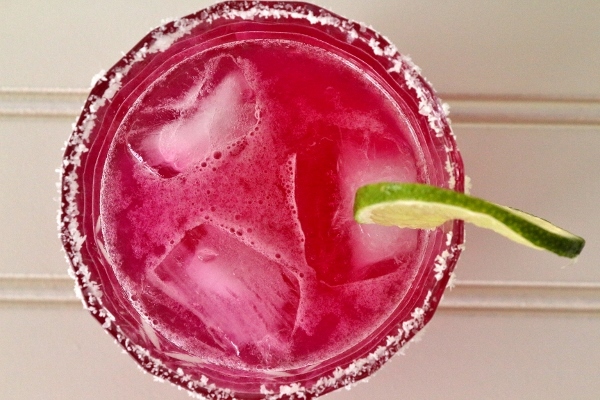 These hot pink cocktails are not only delicious and refreshing, but they are absolutely gorgeous to look at. The color is completely natural and oh so beautiful. 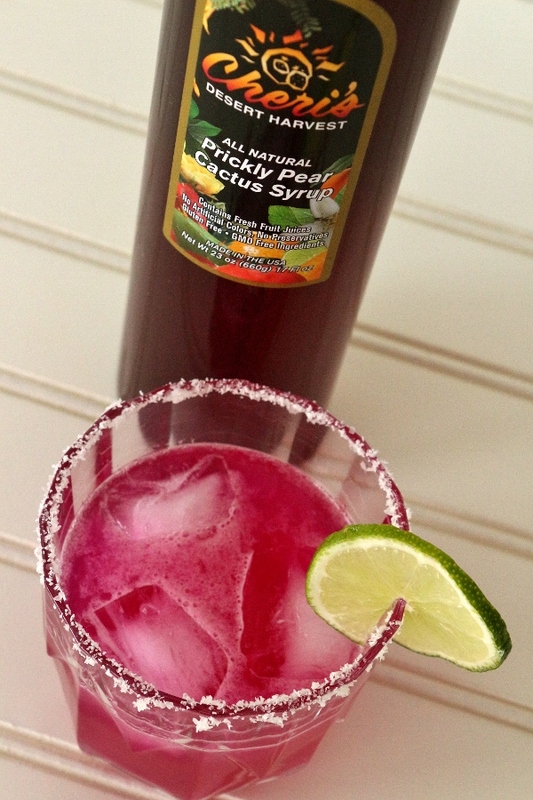 For my first attempt I used 1 ounce of prickly pear syrup, and although it was delicious it was almost cloyingly sweet. Half an ounce is a much better amount, and yields a more balanced margarita. If you have a sweet tooth, feel free to increase the amount of syrup to a full ounce. I certainly won't judge you. You can also double the recipe to make a giant margarita like they serve at Mexican restaurants! Wet the rim of a margarita glass or tumbler by running a lightly squeezed lime wedge around it. Rotate the rim of the glass in kosher salt spread on a flat plate. 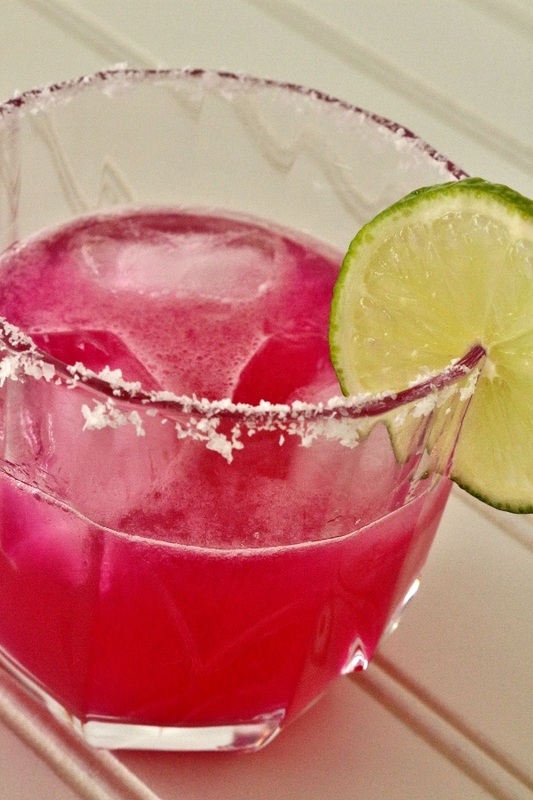 In a cocktail shaker filled with ice combine tequila, triple sec, fresh lime juice, and prickly pear syrup. 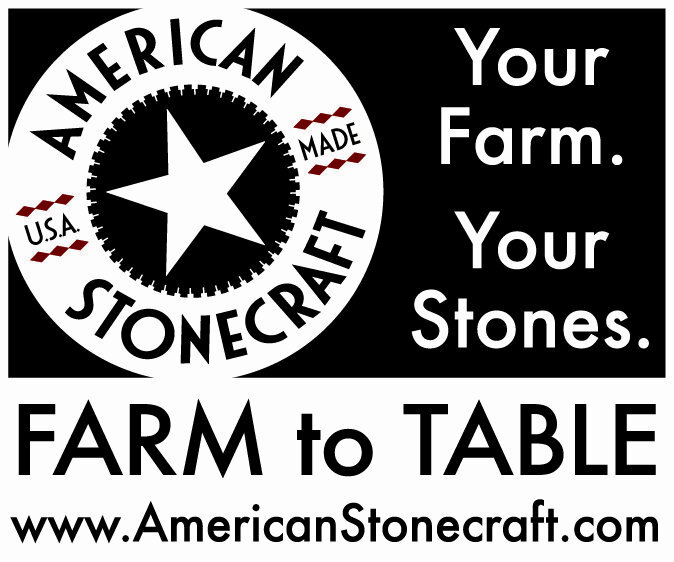 Shake vigorously, then strain into the prepared glass. 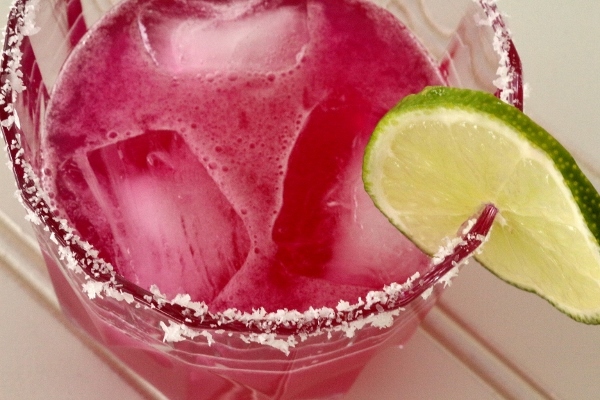 Add a few ice cubes to the glass, and garnish the rim with a slice of lime. Serve immediately.